This giveaway is now CLOSED. Thanks so much to our wonderful sponsor Satya Jewelry! We look forward to working with you again! The winner is singermagic1. Remember: There are great giveaways active on the upper right hand side of the page! Watch for the next bag in the ‘Spring Into Bags’ series to launch SOON. The demand for our Mother's Day Buying Guide exceeded what one person could possibly post, so I want to open by expressing my gratitude to Satya Jewelry for their patience! I have been on Satya Jewelry's mailing list for quite awhile now, and admired their pieces from afar for sometime. As you may know by now, I have a strong affinity for shopping with a purpose and prefer to give my time and hard earned dollars to a company who cares. To a company that gives back, and Satya Jewelry fits the bill perfectly! Beautiful, Abundant, Graceful Yoga-Inspired Jewelry is what Satya is known for. I could probably spend an entire day highlighting their vast collection of treasures, but we all know I must begin with the Butterflies! There is another piece I want to bring to your attention, The Satya Jewelry Hope, Love, and Healing Necklace was designed with to raise money for the children and families of Haiti. With the help of Patricia Arquette, GiveLove and you, we can all be a part of the healing. I am very grateful to Satya Jewelry for NOT putting me in the butterfly only box and allowing me to select a piece that truly spoke to ME. I have always wanted but have never owned a Hamsa. Hamsa, (the open hand symbol) is a sacred gesture symbolizing receipt of blessings from the universe. I have oddly enough always been attracted to them, but somehow never acquired one. I am very much a Turquoise person and while I probably could have spent an eternity browsing (or what I call virtual window shopping); I found a piece that truly spoke to me very quickly, the turquoise hamsa pendant necklace from Satya Jewelry! A piece for protection and health. Long known for its healing and spiritual qualities, turquoise uplifts, heals and cleanses the spiritual energy center and the physical body. The protector against negative energies, Hamsa, is a sacred gesture symbolizing receipt of blessings from the universe. I have studied the benefits of crystals and their healing effects for many years now. And I find it interesting that Native Americans consider turquoise to be sacred and scatter chips or the powdered stone during special prayers and about their shrines. The ones with the black lines in them are called Navajo turquoise and helps you to stay in a place of love and connectedness with others. By doing this it can make you feel at "home" no matter where you are. It is a combination of turquoise and sard (sard being the lines). turquoise by itself keeps one in the feeling of unconditional love and connection to all that is while sard by itself keeps one in the state of emotional attachments to family, home, their roots (the good memories of childhood) it also assists in digestion of proteins both animal and vegetable. One of the main compounds of the Turquoise stone is copper. This is what gives it the blue, green, blueish-green colors. It also is often combined with the Azurite stone as well. Turquoise is wonderful for drawing out negative vibrations from a person. It is best to place it at the feet or worn inside the sock for this. It dissipates negativity as it draws from the body. It allows the negativity to go back into the ground. A good stone for helping one to bond with the spiritual. It offers much uplifting. Also helps open the heart chakra for giving and receiving. The Skinny: I don't think it's possible for me to have selected a more meaningful or perfectly aligned piece to my spirit, I love that it allows you to feel connected to unconditional spirtual love via the Turquoise and at the same time via the Hamsa receive 'blessings from the universe'. To say I absolutely cherish this necklace on so many levels is an understatement, and I have received numerous compliments on it! Ƹ̵̡Ӝ̵̨̄Ʒ - WIN IT! - Ascending Butterfly and our friends at Satya Jewelry would like 1 Ascending Butterfly Follower to win a turquoise hamsa pendant necklace of your very own! Ƹ̵̡Ӝ̵̨̄Ʒ - How to Win: (1) You must be a PUBLIC follower of Ascending Butterfly to be eligible for this and all giveaways. Indicate in your entry that you follow (if your 'comment name/user id' differs from your profile id, please let me know what name you follow under) and (2) Visit SatyaJewelry.com and pick a piece that speaks to you and leave the URL LINK to that product in your comment entry! If you'd like to share the reason that piece speaks to you, you'll get an extra entry (leave two comments, one with the URL of the product and a second with the reason why you chose it!) (3) You must also leave your email address somewhere in your comment. (You can format it this way for security, example: ascendingbutterfly AT mail host DOT com). (If your email is clearly visible in your profile, you can just say so, that's OK!) Please follow the easy 1, 2, 3 steps to winning This giveaway is open to USA residents who are 18 years of age or older. I love those earrings because they are so dainty and feminine, I would feel so sophisticated and elegant wearing them! The red garnet lariat necklace is my favorite piece because it's colorful, very delicate and feminine. According to the description, "Known for stimulating and uplifting ones energy, gold amplifies the energy in the body as red garnet keeps one grounded and full of inner strength." this piece speaks to me and I follow you! I am a follower. 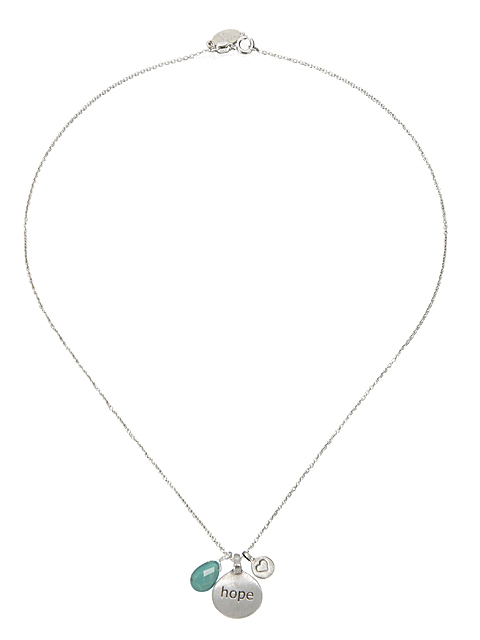 I love this locket: http://www.satyajewelry.com/catalog/new-c-94.html?page=2&products_id=1637. I chose this locket because I have always been drawn to lotus flowers. There is something about them that just inspires tranquility. I am a follower (coliebear) on GFC and I like this necklace http://www.satyajewelry.com/catalog/necklaces-silver-c-167_49.html?page=1&products_id=1286 because I really like topaz. 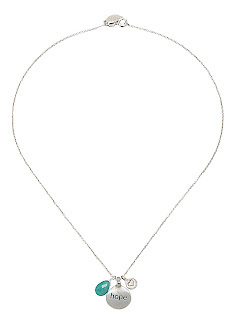 I absolutely love http://www.satyajewelry.com/catalog/rejuvenation-necklace-pi-1502.html the Rejuvenation Necklace! This piece speaks to me because it is simple and says it all. Love the spiritual triple bangle silver! I picked my piece because it represents eternity! My favorite item is this pearl necklace: http://www.satyajewelry.com/catalog/?cPath=48&products_id=1580&page=1. Thanks for the chance to win! I love this piece because I'm a huge fan of pearls and this necklace is simple but elegant which means I could wear it to work or out with an evening dress. I'm following Ascending Butterfly via Twitter (KelliFRobinson). I chose this piece because I think the idea of everyday being fresh & new & another opportunity to unleash your potential to be beautiful. I Follow @SatyaJewelry on Twitter. because I love how feminine it looks. Delicate and pink. These earrings are beautiful. Gold Tree of Life: the reason I chose this piece is because, my father has always told us within the family we are his little trees he planted,he supports us,watered us and we grow strong- with solid roots and firm branches to either bear fruit or be used for something more in the future. (as the wood is- you can use it to build a fire, create things, build a home, ect.). So this piece is very symbolic to that thought of my father and his saying. i'm following @tracy_inglesias on twitter. i'm @moanasweeps. i follow @satya jewelry on twitter. i'm @moanasweeps. I'm a new follower of yours. I really love the amethyst om hamsa triple pendant! I like the Amethyst Om Hamsa Triple Pendant Necklace because it will help me when I mediate. I will think of Om, and the Hamsa gives me protection. I follow on GFC. I love these earrings: http://www.satyajewelry.com/catalog/earrings-silver-c-168_50.html?page=1&products_id=1639. I follow Satya on Twitter @kristinnw. my fave is the clarity lotus anklet because i love the idea that the gemstones can heighten the way your brain functions. and i need that! "Bring yourself or a loved one wealth and abundance with these Good Fortune Earrings"
I follow, and I love this ring. I love this ring because i love flowers! This is such a simple yet great ring! I like the Ring of Fire necklace because I've always had an affinity with Ganesha. Also because it symbolizes strength overcome obstacles. The reason I like that necklace is because the Turquoise charm caught my eye. I love the color turquoise and I'm a fan of the stone. I bought my first turquoise necklace at 18 and I've been hooked ever since. The reason I like it is because it is my favorite color and is so calming and relaxing. I love the Vanquish Uncertainty Necklace. Bring yourself or a loved one wealth and abundance with these Good Fortune Earrings. I follow @SatyaJewelry on Twitter! I think it is really pretty. I like the gold design. I like Satya Jewelry on Facebook! I like Ascending Butterfly on Facebook! I love the Satya Gold Bangle Cuff because of all the different designs on the bangles and also because of the fact that it would be very difficult to lose any of them based on the way the bangle is made.